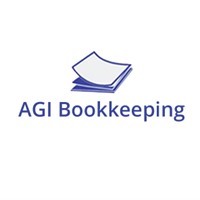 AGI Bookkeeping prides itself in portrait top value services to the people who are searching for bookkeepers solutions for franchises, medical centres, cafe and coffee businesses throughout Australia. We are Sydney’s foremost bookkeeping specialist and have helped hundreds of agencies to solve their all accounts and balance sheet related problems. We are in this industry from 2001 with other five state offices including head office being based in South Yarra, Melbourne. We are also offering a complimentary consultation to every new client. Please visit our website for any further information or call us at 0291885056.